How often have you sat down ready to put some great content on your website, only to be stuck? You want to incorporate keywords like “writer Billings, MT” but nobody actually uses words like that in a sentence. So you’re left with a dilemma, create content that sounds awkward but has your exact targeted keywords, or write something that people can easily read, but you may miss out on ranking for your desired keywords. If you have to choose, write for the reader. Besides the fact that people will enjoy your content more (and they will be more likely to come back in the future to read more of what you have to say), Google employs what is called Latent Semantic Indexing. This method of ranking websites has been around for a few years now, and it allows people to write more naturally. Essentially you can use variations of your keyword strings in order to write content that sounds natural, but has an SEO focus as well. What we often see is that people know they need to write content for their website. 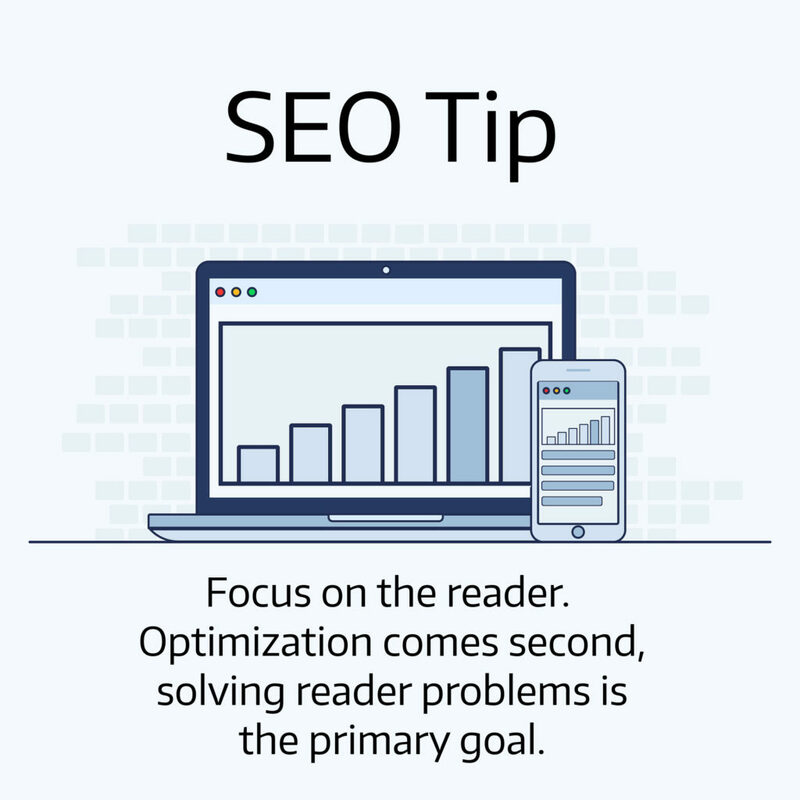 They understand the importance of strong wording that will grab the readers’ attention and help them rank better on Google. While they have every intention of writing, it’s time consuming. So it never gets done! Don’t neglect your website; get in touch and we can help you create a strong online presence so you can get found online.